Crytek, the development studio that brought us games such as Crysis and Far Cry, announced earlier this morning that they are developing an adventure game built for Virtual Reality. 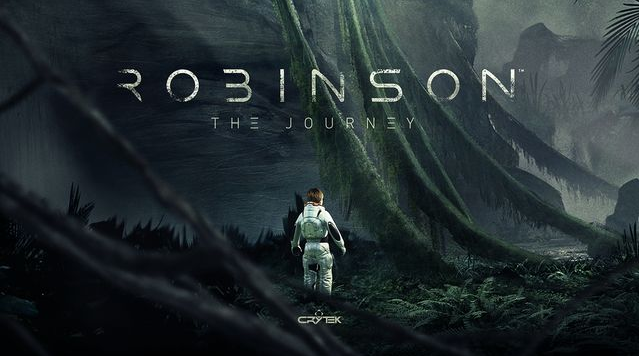 This upcoming title will be called Robinson: The Journey. At first glance, I assumed this was going to be some sort of dinosaur survival game, and to be fair, we still do not know many details regarding the story. Robinson: The Journey will take players to a mysterious and unseen planet where they can explore the environment in a 360-degree angle. According to Crytek's director of production, David Bowman, Crytek is beginning to transition to virtual reality "so that it can continue to push for greater immersion in its games. Ever since Crytek was founded, we have been striving to build the most realistic, believable worlds we possibly can for players. Today's VR technologies are enabling us to bring together CryEngine's capabilities and our legacy in creating immersive gaming experiences like never before." More and more development studios are rapidly beginning to integrate virtual reality into their games, and this is not at all a bag thing. In all honesty, Crytek has disappointed me on several occasions with different titles that they have produced within the last few years, yeah, I am talking about you Warface. I have extremely high expectations for this game, and I hope Crytek meets these expectations. For those of you who do not know, Crytek has been demoing a VR game called Back to Dinosaur Island. Since the Xbox One does not currently have a functioning VR headset, we may hear more about Robinson: The Journey and Back to Dinosaur Island at Sony's conference tomorrow afternoon.